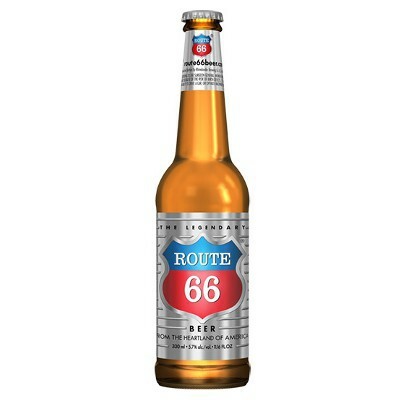 A hearty beer from the heartland of America, Route 66 pale ale lager blend will take you for a ride! 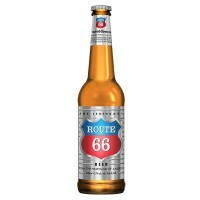 Named for the legendary cross-country highway, Route 66 beer is brewed using hops from the Pacific Northwest, and features a crisp bitterness as well as a delicious herbal quality. A thoughtful gift and fun addition to any party, Route 66 India pale ale carries an ABV of 5.7%. Water, barley, hops, yeast. Contains GMO. Je ne bois pas de bière mais mon conjoint et son père adore ça. Et cette bière, d'après eux, est très bonne. En attendant d'aller sur place, un avant goût de l'aventure.